When is the right time to announce a game? Originally announced three years ago, Final Fantasy VII Remake immediately had fans buzzing at the prospect of experiencing Cloud's adventure with gorgeous updated visuals and gameplay. With E3 2018 now behind us, JRPG fans are understandably upset about the lack of new info on Final Fantasy VII Remake at the big show for the third year running. 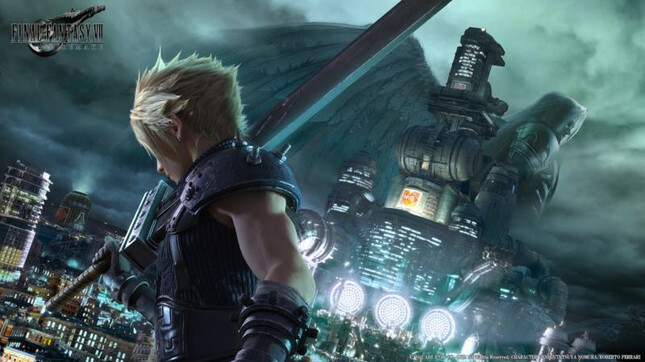 In an interview with Multiplayer, director Tetsuya Nomura has admitted that Final Fantasy VII Remake was announced far too early. This doesn't really help any of us right now but at lease we can hope that Square Enix may learn from this and is a bit more strategic with their announcements next time. Nomura stated “I am well aware of the fact that we announced it too early, but even in the industry, word was beginning to spread that we were working on the game, so we just decided not to keep it more secret and officially reveal it.” It's all well and good trying to stop fans asking, but the premature announcement seems to have stoked the fires of frustration more than anything. We recently found out that Tetsuya Nomura is putting equal effort into both Kingdom Hearts 3 and Final Fantasy VII Remake. Kingdom Hearts 3 is set to release in January 2019 so it's safe to assume that he and the team will transition focus to Final Fantasy, so hopefully we wont have to wait to play it on the next-gen PlayStation. What do you think about the timing of Game announcements? Do you prefer only having to wait a few months or do you enjoy bathing in the hype for a couple of years beforehand? Pre-order Kingdom Hearts 3 and Final Fantasy VII Remake now from Mighty Ape.